Scrutiny: Anushka Sharma’s Pari to release on 2nd March.. 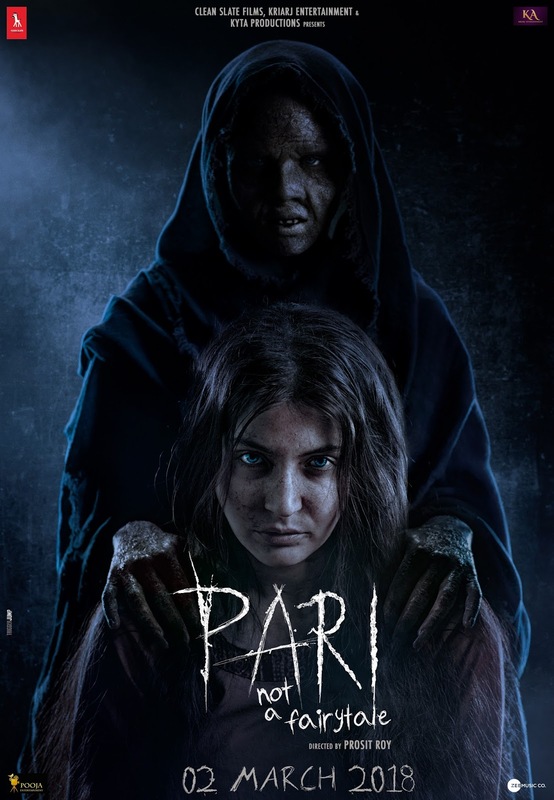 The haunting eyes, the cold, blue tint of doom and just one face – if Anushka Sharma’s first look of PARI at the onset of the shoot was eerie and cold and enough for everyone to be curious about the film, its 18 second screamer launched last night left one breathless and anxious ensuring that the mood of this horror flick taps right into our system. Taking the scarefest a notch higher, the filmmakers have launched a poster that's both spellbinding and spine chilling! It shows Anushka staring straight at you with a eerie blankness of her haunting blue eyes while standing behind her is a scary figure- clad in black, resting her hands on Anushka's shoulders. Directed by debutant Prosit Roy, the film also stars Parambrata Chatterjee, Rajat Kapoor & Ritabhari Chakraborty. PARI, produced by KriArj Entertainment and Clean Slate Films will be released worldwide by Pooja Films on 2nd March, 2018.